My Beatport DJ chart December 2013 is available! 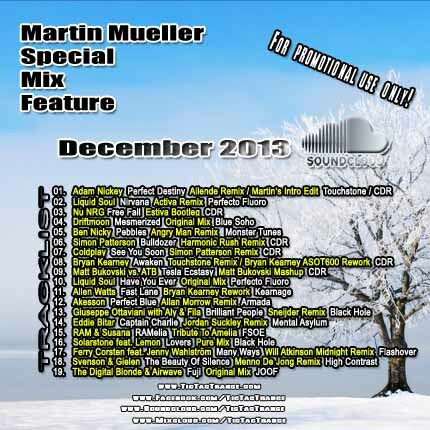 Some tunes are included in my Soundcloud Mix December 2013 aswell! I wish everyone merry christmas 2013! Don’t forget, you can check out my December Soundcloud Mix 2013 and the mighty Tic Tac Trance #072: YEARMIX 2013 (86 tunes in 2 hours). Both are available at my Soundcloud page (Download enabled!). Enjoy! 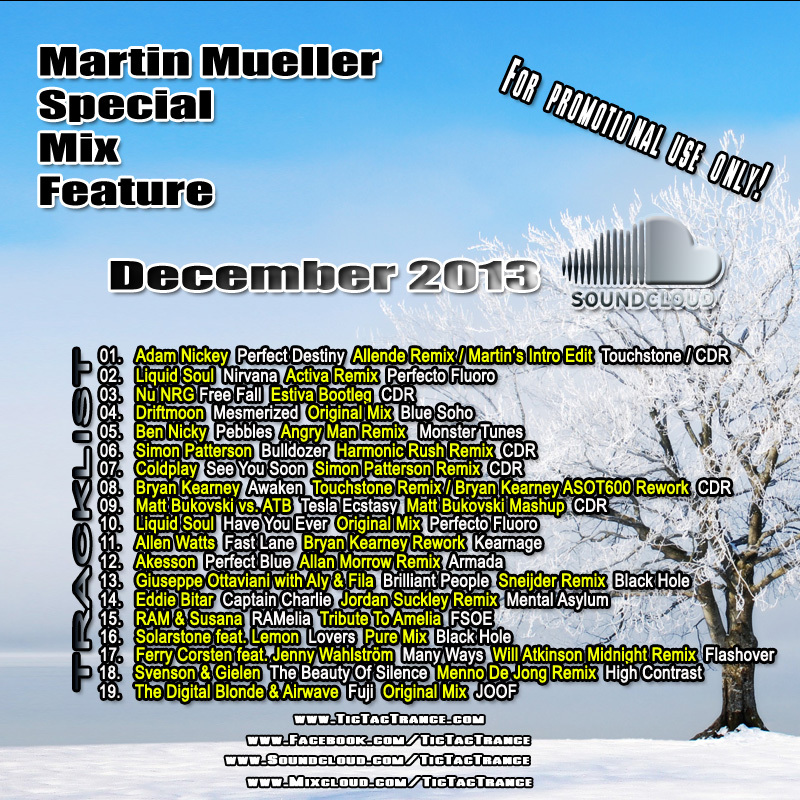 My Soundcloud Mix December 2013 is available! My Soundcloud Mix Series is back with 19 fresh tunes mixed into just one hour! It features tunes and remixes by artists like RAM, Liquid Soul, Solarstone, Simon Patterson, Will Atkinson and many many more! It’s now available on my SOUNDCLOUD page. Enjoy! 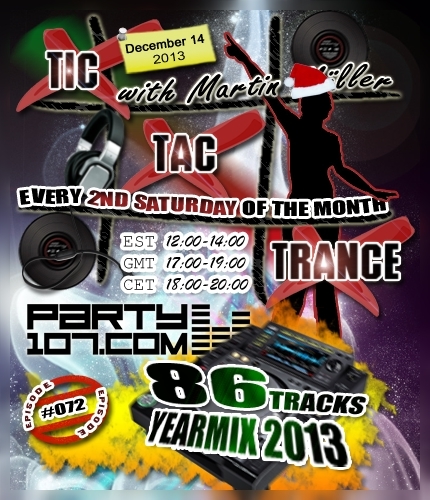 Tic Tac Trance #072 (YEARMIX 2013) Replay Available! The replay of the latest episode of Tic Tac Trance is now available here on Tic Tac Trance, also on Mixcloud.com/TicTacTrance and on Soundcloud.com/TicTacTrance! 86 Tunes, over 1000 Edits, and too many hours of work, this year’s final episode #072 of Tic Tac Trance will air on December 14 @ Party107.com! Together with you I’ll celebrate my favorite psy, uplifting and progressive underground trance tunes of this year in a 2 hours nonstop mix. You can expect a crazy mashup festival with my highlights of this year’s trance selection. Make sure to tune in!